Technical heritage: preserving authenticity – enabling identity? 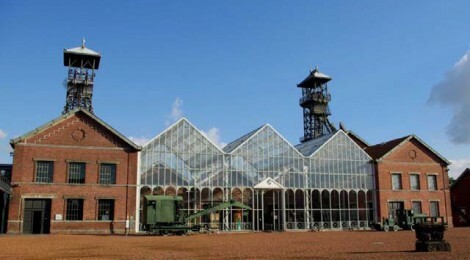 Big Stuff is an international meeting focused on the challenges and requirements for conserving the large industrial structures and technical objects that form such an important part of our modern heritage. The meeting has been so far hosted in Canberra/Australia (2004), Bochum/Germany (2007), Duxford/UK (2010) and Ottawa/Canada (2013). In 2015 it will be held in Lewarde/France. The conference features two days of talks and discussions about the preservation of industrial sites, oversized objects, machinery, and working technology in the context of their significance and interpretation. The meeting aims to bring together Conservation professionals, Curators, and those working in or interested in the heritage field; to share experiences and ideas, and encourage a consistent approach to preserving technological heritage. The two‐day conference will take place from 3rd to 4th September 2015. It will start on the morning of Thursday, 3rd and end late afternoon Friday, 4th September. We are offering an additional day trip on 5th of September 2015 (not included in the conference fee). The trip, organized by local organizers of the conference, will give an interesting insight into mining basin in North of France. The draft program is added to this final announcement. Program with oral presentations is completed yet. But there is still an opportunity to present posters. If you are interested to do so, please contact scientific committee representative Alison Wain with a short abstract (alison.wain58@gmail.com). Contributions can be given in English and French. Simultaneous translation will be available. Conference fee will be 150.00 € per person. It will include conference documents, simultaneous translation (French ‐ English), drinks and meals during the conference, and transport from hotel (in Douai) to the conference location and back. Conference dinner in the evening of 3rd of September has an extra price of 20.00 € (without drinks). The additional day trip will cost an extra of 50.00 €. This fee will include costs for the bus and refreshments during the trip. Online registration for conference, conference dinner and additional day trip is necessary. Please join: www.bergbaumuseum.de/bigstuff2015. We will provide you with a confirmation of registration and send an invoice regarding the fees. Room contingents will be reserved by CHM in Douai close to Lewarde (not included in the conference fee). Reservation has to be done by participants themselves. Information on hotels and costs are added to this final announcement. Please view the conference homepage: www.bergbaumuseum.de/bigstuff2015 to get further information. ← TICCIH Congress Pre-Tours (Sept 5-6, 2015) and Post-Tours (Sept. 12-14, 2015) …Open Tour Slots are still available..register now..